School profiles convey important descriptive information about the school, its academic program, and its community, and they are customarily included in student applications to colleges and postsecondary programs. 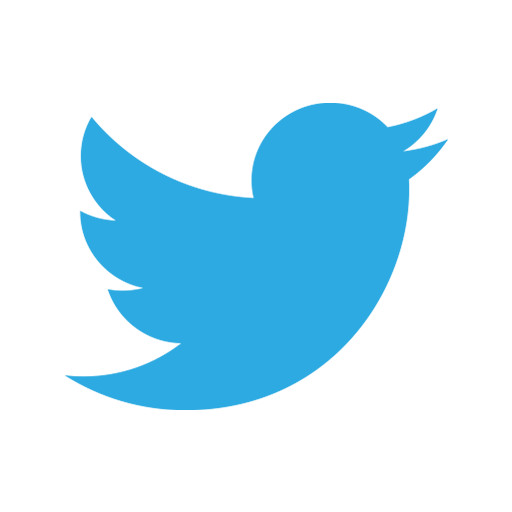 College-admissions professionals consider school profiles essential to the admissions process because they provide the contextual information that admissions offices need to interpret and understand the academic accomplishments of individual students. With more than 24,000 public secondary schools in the United States alone, the Great Schools Partnership strongly recommends that all secondary schools create and publish annual school profiles. 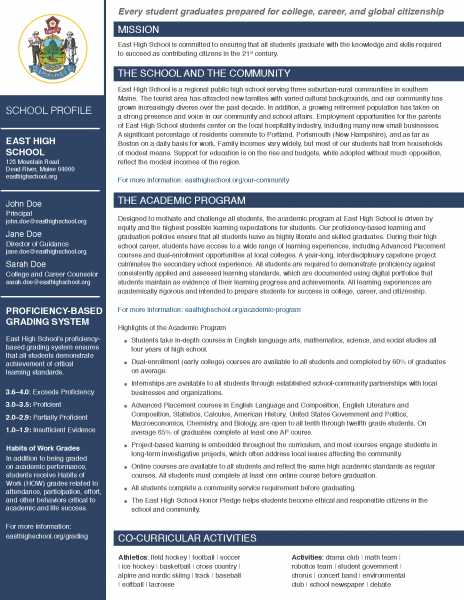 The Great Schools Partnership consulted with secondary administrators and college-admissions professionals to develop an exemplar school profile that balances the pedagogical principles of proficiency-based learning with the need to clearly communicate a school’s academic and co-curricular offerings, the grading and honors systems it uses, and the statistical composition of its current graduating class. Our exemplar profile is intended to serve as a point of discussion and departure for administrators looking to develop or refine a school profile.